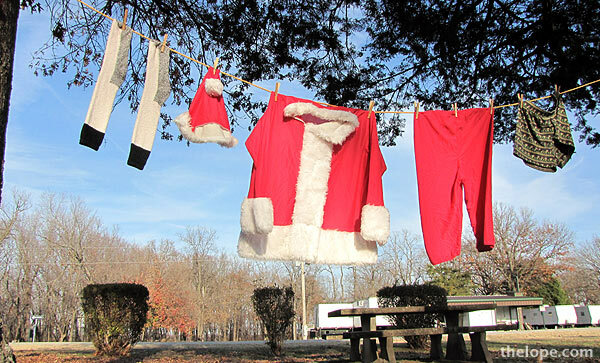 Apparently, Santa does his laundry at Twin Bridges Park of Lights in Oklahoma. 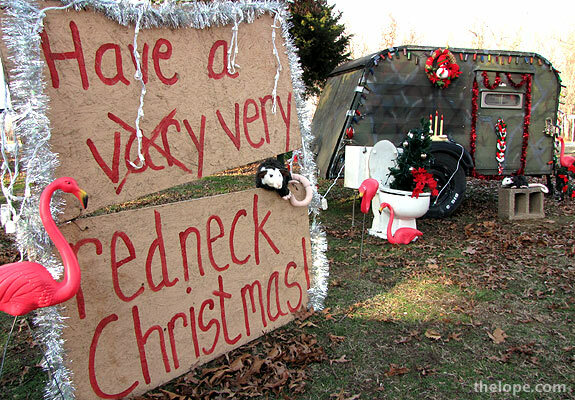 The holiday attraction is part of Twin Bridges State Park which is roughly between Miami and Grove, Oklahoma. 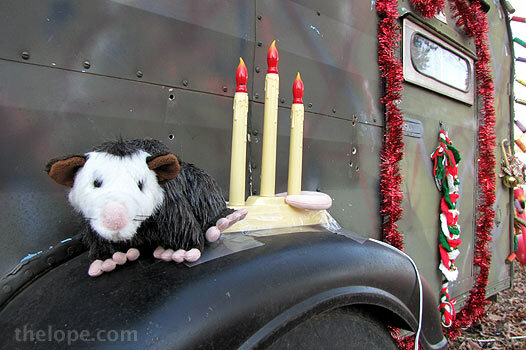 No red nose on the opossum? In addition to the rustic themed displays here, there are all sorts of lights and figural light frames, as one might expect from a holiday light attraction.